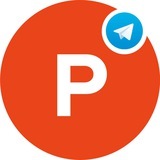 Get your Product Hunt posts on Telegram with Product Hunter Bot. This bot for Telegram can get you the best products on Product Hunt in the following categories: tech, games, books, podcasts, live chats. /techGet - the tech products featured on PH today. /games - the games featured on PH today. /books - the books featured on PH today. /podcasts - the podcasts featured on PH today. /liveView - the upcoming live chats schedule on PH. /help - if you need help with the commands.